Please read all information carefully! 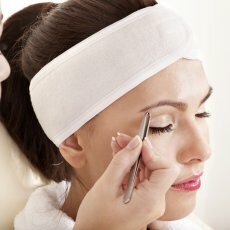 Permanent eyebrow enhancements are completed in two, occasionally three sessions. 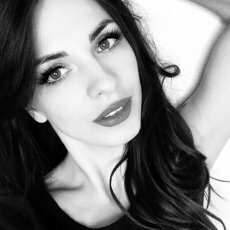 Your refinement visit is 4-6 weeks after initial procedure. The cost of refinement visit is included in payment. 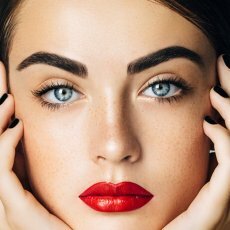 Be prepared for the color intensity of your procedure to be significantly larger, sharper, brighter, or darker than what is expected for the final outcome. The transition time is based on how quickly the outer layer of your skin exfoliates. 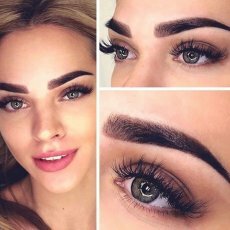 Brows can be up to 30% lighter by end of healing process. 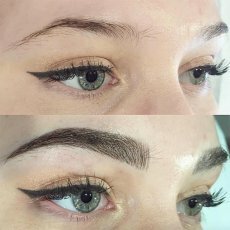 While the implanted tones may initially simulate the exact color and tone desired, it will not always remain a perfect match. Implanted tones are constant, while your own skin tones will vary depending on exposure to cold, heat, sun, and circulatory changes. For example, if you tan your skin and had a scar camouflaged, your surrounding skin will be darker in appearance than the treated area. 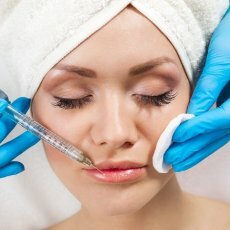 Since delicate skin or sensitive areas may swell slightly or redden, it’s best not to make social plans for a day or two, following the procedure. 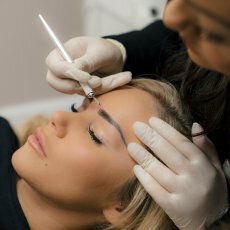 If under a Doctor’s care, for any reason, be sure to notify London Brows prior to scheduling your procedure. your blood thinner for 3 days prior to procedure. - if you take aspirin daily as per doctor, you will need a note to stop taking aspirin 24 hours prior to procedure. 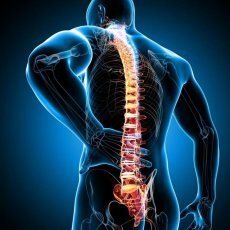 - if you had surgery of any kind within the past 6 months, or will have over the next 6 months. If you take medication prior to dental appointments, please do so on the day of your procedure. 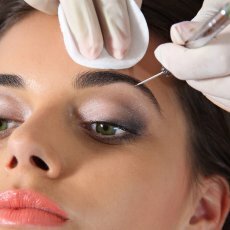 Organ transplant recipients may not receive permanent brow enhancement. Do not take aspirin, green tea, vitamin E, or any Herbs for 3 days prior to your procedure. If you are under treatment for any form of cancer, you must wait until your treatment is complete. No alcohol for 24 – 48 hours prior to your procedure. No caffeine or salty foods for 24 hours to your procedure. Please be advised that women on or near their menstrual cycle tend to bleed a bit more during the procedure. Numbing agents also tend to be less effective on women menstruating. If you wish to avoid this please let us know. Any eyebrow tinting should be done no sooner than 48 hours before the procedure or two weeks after the procedure. days before. Do not resume any method of hair removal for at least two weeks.